Martino Fine Books, 9781891396885, 124pp. 2011 Reprint of 1957 English Translation. Full facsimile of the original edition, not reproduced with Optical Recognition Software. "Journey to the East" is written from the point of view of a man who becomes a member of "The League," a timeless religious sect whose members include famous fictional and real characters, such as Plato, Mozart, Pythagoras, Paul Klee, Don Quixote, Tristram Shandy, Baudelaire, and the ferryman Vasudeva, a character from one of Hesse's earlier works, Siddhartha. A branch of the group goes on a pilgrimage to "the East" in search of the "ultimate Truth." The conclusion of the short novel is a stroke of Hesse's typical Eastern mysticism at its finest. Hermann Hesse was born in Calw in the Black Forest on July 2, 1877, and from an early age was obsessed with the mystery of existence and humanity's place in the Universe. 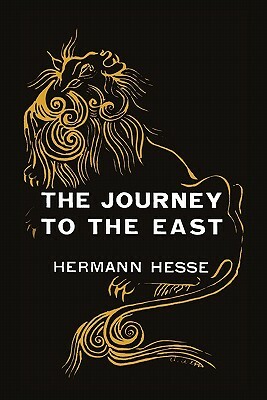 The Journey to the East is Hesse's tale of inner pilgrimage, an allegory on human desire for enlightenment and the long road that must be traveled to that ultimate goal. Using remarkably clear and accessible language, the book brings together the experience and conclusions of many years of spiritual struggle.